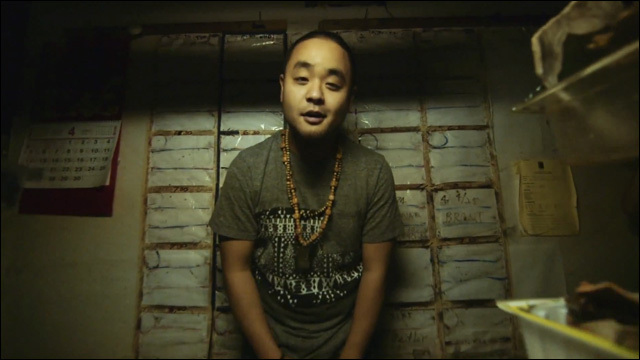 Music Video: G Yamazawa honors his parents in "Dining Room"
Dedicated to mom, dad and all who share the immigrant family hustle. Happy Thanksgiving! In keeping with the theme of food and family, we present the premiere of award-winning poet/emcee G Yamazawa's powerful, beautiful new music video for "Dining Room," from his forthcoming debut EP. The track is dedicated to his parents and to all who share the immigrant family hustle. Directed by Saleem Reshamwala, it was filmed at G's parents' restaurant Yamazushi in Durham, North Carolina. G says the record is inspired by years of his youth spent in the back of his family's restaurant, and the realization that he shared this narrative with an entire generation of immigrant families. "Much of my creativity comes from the time I spent alone in the back of my parents' restaurant," G says. I would always sneak out into the dining room and see them working tirelessly serving customers, sharing their culture with the North Carolina community. My dad couldn't speak English very well, and this was his way of being able to make a living while remaining true to himself." G Yamazawa's debut EP is due out February 2016. For further information about his music and poetry, check out his website and follow updates on Facebook and Twitter.